Hideaki Anno (born May 22, 1960) is a Japanese animator, film director, and actor. He is best known for his part in creating the popular anime series Neon Genesis Evangelion. His style has become defined by his incorporation of postmodernism and the extensive portrayal of characters' thoughts and emotions, often through unconventional scenes incorporating the mental deconstruction of those characters. He married manga artist Moyoko Anno on April 27, 2002. 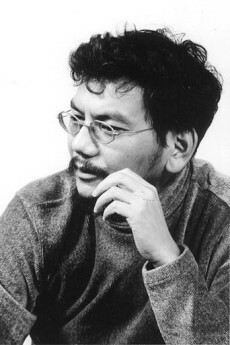 Anno's other directorial efforts include Kare Kano (1998), Love & Pop (1998), Shiki-Jitsu (2000), Cutie Honey (2004), Re: Cutie Honey (2004), Rebuild of Evangelion (2007–), and Shin Godzilla (2016). Anime directed by Anno that have won the Animage Anime Grand Prix award have been Nadia: The Secret of Blue Water in 1990, Neon Genesis Evangelion in 1995 and 1996, and The End of Evangelion in 1997.